Another Odd One Out this time dealing with people. Check my profile for other wss in this series if you like this one. The present downloadable worksheet is meant for business/professional students, high school students, elementary school students and adults at Elementary (A1), Pre-intermediate (A2), Intermediate (B1), Upper-intermediate (B2) and Advanced (C1) level. It can be used for improving your class' Listening, Speaking and Reading skills. 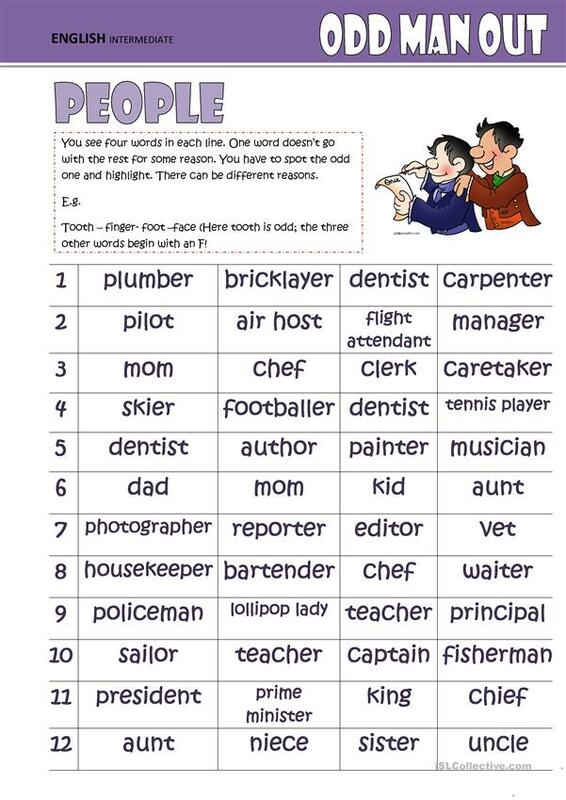 It focuses on the vocabulary topic of People.